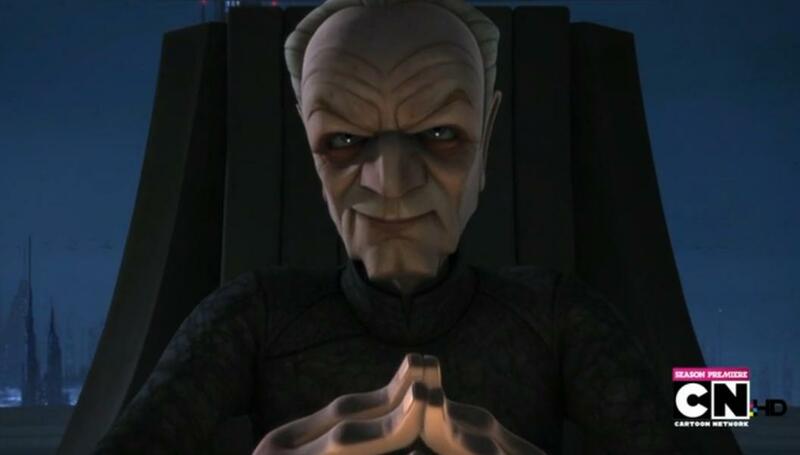 It is fascinating that Chancellor Palpatine really wants to focus on the Clone Wars and not mess around with “just petty crooks.” He is saying that he sees them as being incomparable to the Separatist threat. So what if they’re Sith? What’s really fascinating, however, is that Chancellor Palpatine frames it as a “personal matter” of Obi-Wan Kenobi’s and not a matter that is part of the broader Jedi-Sith issue. 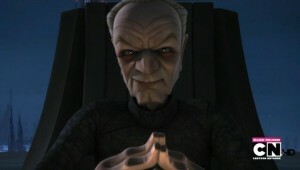 And even when Obi-Wan Kenobi tells him that Darth Maul is trying to build a small army, Palpatine still thinks it is a small issue, not worthy of their attention. 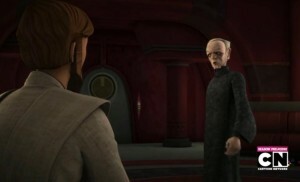 Obi-Wan Kenobi certainly has a great feel for what is going on and the possibilities for Darth Maul “to flourish”, that is, provided he survived, which is unclear. 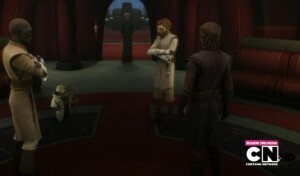 Yet, Yoda advises him to heed the words of the chancellor, but does acknowledge the danger that Darth Maul provides. In any event, due to Chancellor Palpatine’s influence, the Jedi do not pursue Darth Maul and Savage Oppress (and it’s perceived as a “personal matter” of Obi-Wan Kenobi’s and not something that pertains to the Republic), leaving them to be (until they pop up again).